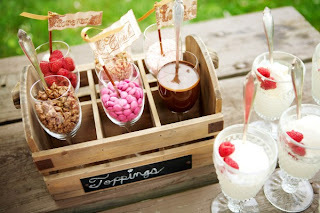 I love ElizabethAnneDesigns - a Toppings set up for the table. So freaking cute. LOVE.